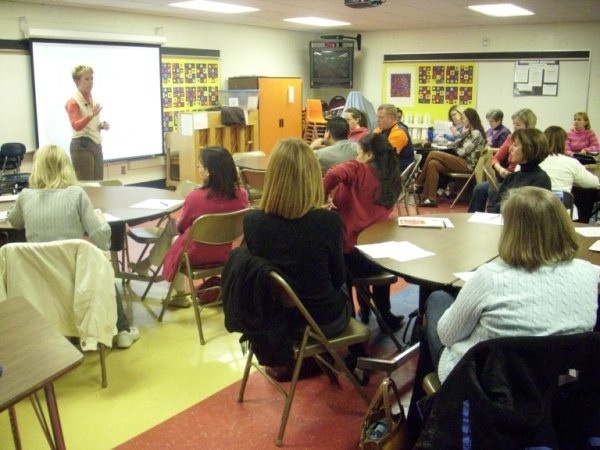 Laura Rolands provides training for education providers, parent groups and other organizations on a variety of ADHD related topics. She is also an instructor with ADDclasses.com. Training participants learn strategies and develop solutions to their challenges. Action plans are developed and ready for immediate implementation! Training offerings can be customized to fit the needs of your organization. The topics below are thought starters. Contact us to discuss your specific training needs! Coaching Conversations: What’s different? How do they help adults with ADHD? Laura leading a workshop for Troy Michigan School District parents and staff. Good day, I am very keen to learn more but based in South Africa. do you have an online version of your coaching training? I have a son with ADHD / OCD and I am a mentor and coach…….this could be really beneficial to me as parent and for my career scope. Thanks so much for your inquiry. Which training are you interested in?